PACIFIC ENERGY NETWORK (PEN) IS A SOLUTIONS-BASED FIRM PROVIDING SUSTAINABLE ENERGY SOLUTIONS TO THE ENERGY SECTOR WITH AN EMPHASIS ON ELECTRIC UTILITY. PEN is founded on the premise of bringing the best value to our clients. Our legacy is established on the foundation of providing quality service and competitive price on every project. Our goal is to build a long-lasting relationship with every client, big and small. We have many years of combined experience in the energy and electric power industries. We make sure you get the best return on your capital investment. We aim to exceed our clients’ expectation on every aspect of the project. Therefore, we employ highly qualified and professionally certified engineers and professionals who are licensed experts in their area of specialization to work on your project. They are among the finest in their respective fields. "ESTABLISH TO BE THE PREMIER COMPANY DELIVERING THE MOST EFFECTIVE AND SUSTAINABLE ENERGY SOLUTIONS FOR THE BETTERMENT OF LIFE ON EARTH WHILE PRESERVING THE NATURAL BEAUTY OF THE WORLD. " "PERSISTENTLY SEARCHING FOR THE MOST ECONOMICAL, ENVIRONMENTALLY FRIENDLY, WELL PERFORMED, SOCIALLY ACCEPTABLE, TESTED AND PROVEN METHODOLOGIES TO HARNESS THE ENERGY IN NATURAL RESOURCES OF THE EARTH AND MAKING THEM ACCESSIBLE TO, AND IMPLEMENTABLE BY, THE MASSES TO PROMOTE A BETTER QUALITY OF LIFE." 1. Clients have a heavy workload that continues to grow, but their company does not want to expand their engineering department. 2. Clients want to build a new substation equipped with the latest technology, but they lack the expertise to engineer and design the project. 3. Clients have seasonal overflow work, but they cannot find the internal resources to support it. 4. Clients look for support from external resources, but worry about the cost of hiring a large engineering or consulting firm. When you award the project to us, we eliminate the stress of dealing with the project for you by assigning experienced and knowledgeable professionals who exercise our proven project management and engineering/design process. We offer comprehensive management from the very beginning to the very end. We manage every step of the way from the start of the discovery phase, through the intermediate phases such as engineering and construction, and to the post construction phase. Power System: To provide economical and quality services in system consulting, project management, engineering, design, procurement, construction and construction management, quality assurance and control, post construction support, maintenance program development, and operation support and training. Energy Efficiency: To provide the best services in energy consumption consultation and energy efficiency programs for industrial, commercial, and residential customers. 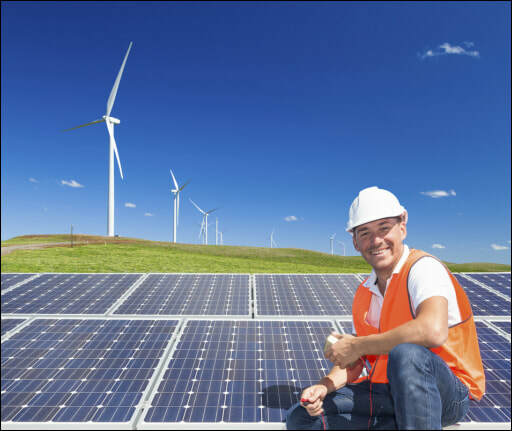 Renewable Energy: To identify renewable energy resources and search for the most economical methodologies to exploit them. Energy for the economically disadvantage groups: To develop systems in parts of the world that can improve human lives as a result of the presence of power systems. Options for Customers: To harness renewable energy sufficient to supply small customer loads (residential or small commercial) as to provide an alternative power source to customers who may opt from the grid. PEN has a major emphasis on power systems. Our Power Systems Division was created in response to a massive need in the market to improve the reliability of the aging power system through conducting system analysis and implementing reliable, economical, and sustainable solutions. The traditional practices of planning for system improvement to maintain or improve reliability by building more infrastructure to create backup and redundant systems are less acceptable, due to the required compounding capital investment. Today, the more attractive method to improve system reliability is to employ the most economical and technological advances to the power system in combination with some traditional practices. The current power utilities face many challenges on multiple fronts when dealing with the demands of the primary stakeholders. Those demands by each group vary drastically and at times conceivably in conflict. The stockholders want better return on their current investment and are not fond with the idea of continuously injecting more investment into building more infrastructures. On the other hand, the customers demand a higher quality service from the power companies and a more reliable power system. PEN is the solution to the dilemma. We come in, evaluate the system and identify the most effective, economical method to improve reliability with minimal capital investment. PEN continues our legacy of investing in new technology in energy that can improve our quality of life. We are currently investing in the development of new technology for energy, energy efficiency, optimization of natural resources, and environmental projects.